I am aware of how hard it can be to take the first step to ask for help and aim to offer a compassionate, caring and professional approach to individual clients and to couples. I am always happy to discuss any concerns by telephone before arranging a first appointment. Currently I work in private practice and for a number of Private Health Insurers. I also receive referrals from voluntary organisations, particularly those working with Gender Based Violence and Childhood Sexual Abuse. 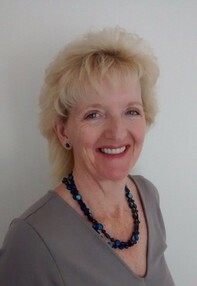 I am a BACP Senior Psychotherapist/EMDR Practitioner, with experience of working in Mental Health within the NHS in the field of Complex Trauma (CPTSD), as a part time lecturer (Glasgow Caledonian University), Senior Tutor on the Diploma in Human Relations and Counselling (Human Development Scotland/ Napier University) and as COSCA registered trainer and Supervisor. My research interests include sitting on an NHS Research Ethics Committee and carrying out research in the field of counselling and complex psychological trauma. Coleman, A; Chouliara, Z; Currie, K (2018). Working in the Field of Complex Psychological Trauma: A framework for personal and professional growth, training and supervision. Journal of Interpersonal Violence. Research Presentations; British Psychological Society Annual Conference April 2016. REF: Chouliara, Z (PI); Murray, J; Choi, AWM; Murphy, D; Coleman, AM; Hynd, S; Burke Draucker, C (2014). Trust as a mechanism of change and growth: Developing Trust-based Clinical Strategies for Working with Relational Trauma. I work with professionals from the fields of Social Work, NHS, Art and Music Psychotherapy as well as counselling and psychotherapy. I hope to provide a warm and empathic environment for supervision, where the client's difficulties can be explored and reflected upon. I offer a reduced fee to counselling students in training.